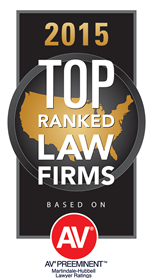 For more than fifty years, the defense firm of SAMUELSEN, GONZALEZ, VALENZUELA & BROWN, LLP has provided employers, claims administrators, and insurance carriers with quality legal services in the area of Workers' Compensation. The firm also handles a variety of ancillary matters on behalf of employers and carriers, such as civil matters including third party subrogation claims, defense of employment claims against homeowners, as well as defense of claims related to serious & willful misconduct and discrimination under Labor Code 132(a). Our firm specializes in providing representation before the California Workers' Compensation Appeals Board, and before the U.S. Department of Labor under the Longshore and Harbor Workers' Compensation Act, including its extensions such as the Defense Base Act and Outer Continental Shelf Lands Act.